Okay everyone, I'm going to talk about the internet and reality for a few minutes before I start talking about today's recipe. I've been thinking a lot about this topic since evolving from just an internet user to someone who also supplies content to the internet via my blog, but I finally decided to write about it because of my experiences this week with food photography websites. If you're a fellow food blogger, you understand the love-hate relationship that can form between food bloggers and food photography websites. If not, let me fill you in. Food bloggers generally submit photos of the new recipes they create to a few popular food photography websites. These sites feature pages upon pages of beautiful, well styled food. When a visitor to the site clicks on a food photo she finds particularly appealing, it takes her directly to the food blogger's website. The two most popular of these sites are notoriously difficult to get onto, but if accepted, they provide wonderful exposure to the food blogger's website and drive a ton of traffic. 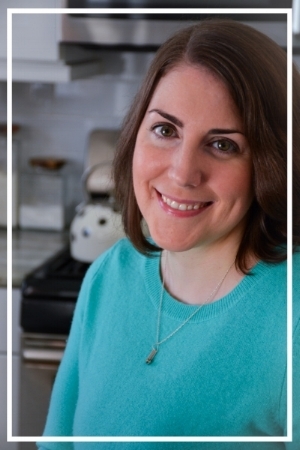 For well established food bloggers, getting a recipe's photo rejected from these sites is probably not a huge deal because they have followers who will come directly to their site and will see the new recipes. For new food bloggers, like myself, 80% of my traffic comes from these food photography websites. If my recipe's photo gets rejected, it basically won't get seen. The point of this is not to complain about those times I get rejected (although it is frustrating...). It's to emphasize the pressure placed on food bloggers to photograph perfect looking food in ideal lighting. I don't blame the food photography websites, they have strict guidelines because their visitors, you and me, want to see beautiful food photography. Whether we want to admit it or not, we would likely stop browsing Pinterest and food photography websites if they displayed reality, meaning what the cake you made actually looks like versus the picture in the recipe book or the food blogger's picture. As I'm sure you know, this unrealistic picture of reality we love to admire or aspire to extends far beyond food photography (just open a clothing catalog...). I can't answer the question of why we subject ourselves to these unattainable standards of perfection. I'm not asking that we start fighting against producers of this content because I don't think it would exist if it wasn't what we, the viewers, wanted to see. I'm simply asking that we take a moment to recognize that there are hidden layers of imperfection behind every perfect image projected onto us in our daily lives. It's okay if our reality isn't flawless. It's okay if half of your cookies aren't in a perfect circle. Mine certainly aren't. So anyways, my recipe for today is one of my favorites. These are fun, flavorful crispy bites that make a great appetizer. 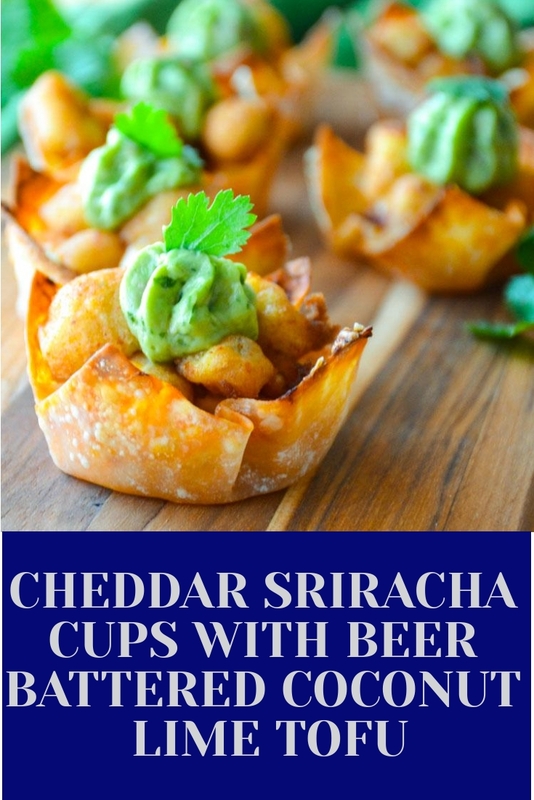 The spicy sriracha is balanced out by the cool creaminess of avocado and the hint of beer flavor. If you really wanted to, you could probably substitute the tofu for some sort of meat. I swear I wouldn't judge you...well..maybe just a little. First, press the water out of the tofu by sandwiching it between several pieces of paper towels and placing something heavy on top like a book or skillet. Replace the paper towels after 10 minutes and press for an additional 10 minutes. Make the avocado sauce by adding the avocado, juice of 1 lime, olive oil and cilantro to a food processor. Process until smooth and set aside. Now prepare the beer batter. Add the pancake mix, beer, egg, coconut, juice of 1/2 a lime, alleppo pepper, garlic powder, honey and salt to a medium bowl. Stir to combine. Add the tofu to the bowl and carefully make sure all of the tofu is coated in batter. Heat the vegetable oil to 375 degrees in a heavy bottomed pan or fryer. While the oil is heating, preheat the oven to 400 degrees. Using a pastry brush, coat one side of each wonton wrapper with a thin layer of sriracha. Sprinkle the cheddar over the sriracha. Carefully place each wonton wrapper in a lightly greased muffin pan with the plain side down, forming a cup. Fry the tofu until golden brown, place on a paper towel lined plate and immediately season with salt. When you are almost done frying, place the wontons in the oven for approximately 8 minutes or until crispy. Add 3 - 4 pieces of tofu to each cup and place a dollop of avocado sauce on top. Garnish with extra cilantro if desired and serve immediately.